Walnut is considered very good for health. Walnut contains fiber, vitamin B, magnesium and anti oxidants. It keeps hair and skin healthy. It also contains omega 3 fatty acid and it prevents us from asthma, arthritis, skin diseases, eczema and psoriasis. Heart: Walnut creates lock in blood veins so it largely prevents us from heart disease. It reduces cholesterol level. It contains omega 3 fatty acid so those who are suffering from heart disease they should eat it. Sleep: Don’t you get good sleep? Walnut is very helpful for good sleep because it release one hormone which is known as melatonin which gives you relief. It releases melatonin in such a way that you get good sleep. Obesity: It is one type of nut which reduces cholesterol level in the blood and cures stomach related problems. It is helpful in digestion and burns more calories. You can reduce your weight by eating 2-3 walnuts every day. Diabetes: It spreads the blood vessels and reduces metabolic syndrome. Therefore, diabetes remains in control. Cancer: Walnut cures cancer in a natural way. It contains antioxidants which prevents the accumulation of cancer cells. Walnut is very helpful to prevent breast cancer. In addition, it prevents tumor formation. 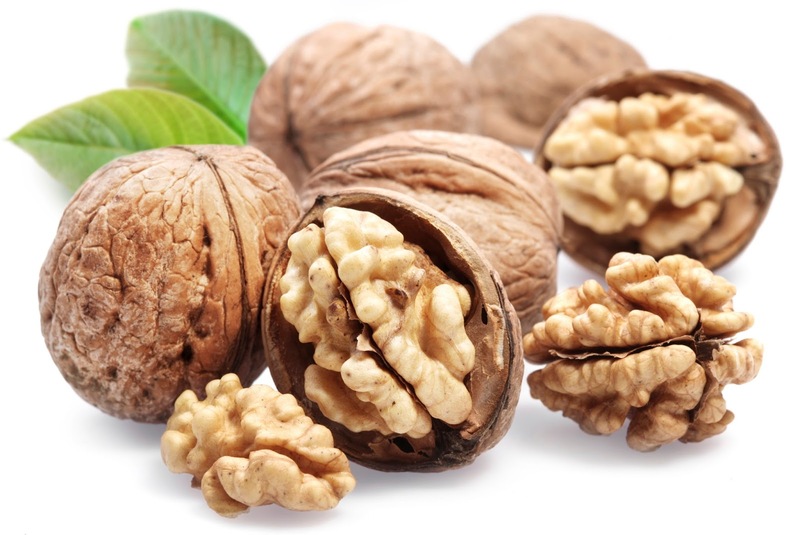 Vitamin E & Protein: Walnut contains highest vitamin E and protein. It contains more protein than meat. Therefore, if you’re vegetarian then you should eat walnut.